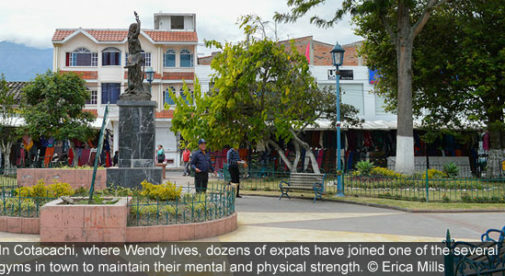 By now it’s common knowledge that Ecuador offers a friendly environment for retirees. 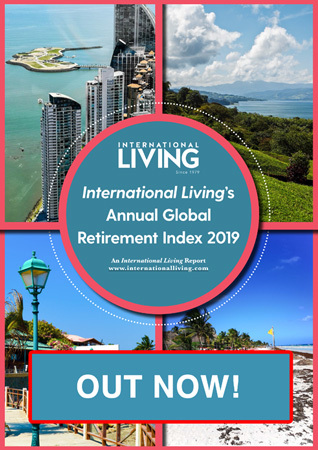 The use of the U.S. dollar, year-round temperate weather, and an affordable cost of living is what often piques the interest of would-be expats. Those are all factors that contributed to my move to Ecuador three years ago. But did you know that one of the side benefits for many who move here is improved health? The most common report of health improvement is weight loss. Though a move to Ecuador didn’t magically reduce my body size, scores of other folks have dropped noticeable pounds without following a specific diet or exercise regimen. How is this possible? Well first off, if you live here you tend to walk more. Most residents walking from shop to shop instead of hopping in their vehicles to drive just a few blocks. In addition, the country doesn’t have snowy winters or sweltering summers so you can enjoy outdoor activities 12 months of the year. Also, Ecuador offers fresh (often organic and non-GMO) produce at rock-bottom prices. Because I always lived in northern climates, I couldn’t afford to eat fresh fruits and veggies every day in the U.S.—and at certain times of the year, there was a very limited selection of produce. Now I can eat delicious salads and mouthwatering fruits every day. Not only is this good for my health, it’s great for my budget. Many retirees here are also looking for ways to maintain their mental and physical strength. In Cotacachi, where I live, dozens of expats have joined one of the several gyms in town. The one that I attend costs $20 per month for unlimited use Monday through Friday and the owner will work as your personal trainer. It may be a bit smaller and a little less sleek than some of the mega-gyms in the U.S., but it has everything I need at a reasonable price. I know several expats who have been able to reduce or eliminate certain medications they were taking by following a regimented workout program. There are cases of reduced blood pressure and help in controlling type-2 diabetes. With the improved dietary options in Ecuador and the low cost of fitness, anyone with a desire to improve their health will have every opportunity to do so. Still, there are some who have conditions that diet and exercise can’t cure. For many of these ailments, treatment can be found in Ecuador’s premier clinics in Quito, Cuenca, or Guayaquil at a lower price than in the U.S. Alternative therapies abound here as well with some people swearing by traditional shamanic treatments, volcanic mud baths, indigenous plant-based remedies, or sweat lodges.